In an instant, you may be involved in an accident that results in catastrophic injuries to your loved ones or you and turns your lives upside down. 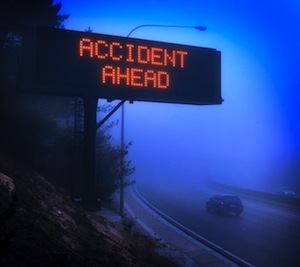 Too many auto accidents are caused by a driver being distracted or just not paying attention. A driver's interest in a text while driving, for example, may result in a car crash that can cause serious damages, including broken bones and injuries to your spinal cord. A store or business’ failure to fix a step may result in your going to the hospital with a hip fracture or torn ligaments, and a premises liability claim. Even if your situation seems straightforward, consulting a car accident lawyer or seeking guidance regarding another type of personal injury claim is an important step to take in preserving your rights. Sometimes an insurer pays what a claim is worth, but without an attorney, the insurer may try to find ways in which you allegedly were to blame or simply stall in paying you adequate damages and compensation. At the Greenberg Law Firm, New Orleans personal injury lawyer Jeffrey T. Greenberg can aggressively pursue damages from the responsible parties. He can investigate the circumstances surrounding the accident and work hard to collect evidence to support a persuasive and convincing claim. 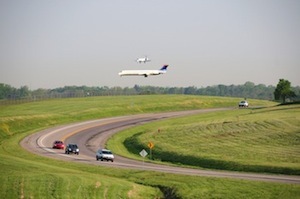 Most car accidents in Louisiana result from negligence by one or more drivers. If another driver was to blame for your crash, you may be able to recover compensation by establishing the other driver's duty to drive safely, a breach of that duty, causation leading to the accident, and damages. The duty to drive safely may be breached in many different ways, including texting while driving, driving while fatigued, drunk driving, running a stop sign or red light, or failing to yield as required under traffic rules. Any other damages to be shown at trial. In Louisiana, property owners are supposed to make their premises safe for visitors or provide warnings about any dangerous conditions of which the visitor would not know. Dangerous conditions may include broken steps, broken balconies, defective swimming pool drains, defective escalators, vicious animals, a failure to install security measures, improperly stacked merchandise, spilled substances, and many other conditions. However, just because a person is injured on someone else’s property does not mean that the other person is automatically liable. The facts of the accident need to be carefully investigated and analyzed. To recover damages in a premises liability lawsuit arising from an accident at a retail store, for example, you will need to establish that there was an unreasonably dangerous condition, that the property owner either created the condition or had actual or constructive notice of the condition, that the property owner failed to use reasonable care, and that causation existed. Constructive notice means that the condition lasted so long that it would have been discovered by a property or business owner that was using reasonable care. Additionally, it must be noted that hotels are held to a higher standard or degree of care to its guests. Our firm also handles legal claims involving property damage, the recovery of overtime wages by employees, and other matters. For example, we can advise you on whether you may be able to seek damages if your home was adversely affected by a construction project in the area. Sometimes construction activities, such as dewatering, pile driving, excavating, dumping, or drilling, may result in settlement or vibration that harms your home or possessions and causes you emotional distress and aggravation. Using a theory of nuisance, we may be able to help you pursue damages from the construction company or the entity that hired the company. 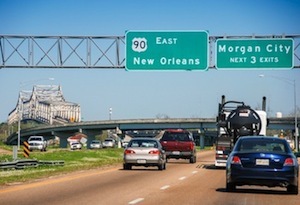 Our firm handles personal injury claims on behalf of Louisiana residents, as well as visitors passing through New Orleans for business or tourism. New Orleans personal injury attorney Jeffrey T. Greenberg can guide you in seeking the damages to which you may be entitled. We also represent victims in Metairie, Kenner, Hammond, Houma, Slidell, Raceland, Chalmette, Laplace, Baton Rouge, and throughout other Louisiana Parishes and communities. Call us at (504) 588-1900 or use our online form to set up a free appointment with a car accident or premises liability attorney. Unlike most firms, we charge only a 19% contingency fee, and we only recover our fee if we get money for you. 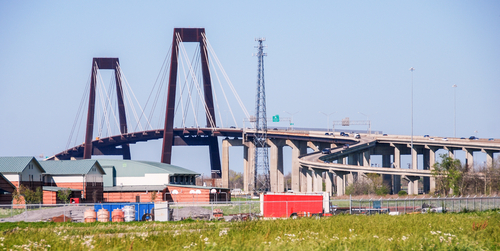 The Greenberg Law Firm is located in New Orleans, Louisiana, and serves clients in the communities of New Orleans, Metairie, Baton Rouge, Kenner, Gretna, Harvey, Marrero, Chalmette, Hammond, Mandeville, Covington, Slidell, Laplace, Destrehan, St. Rose, Luling, Houma, Thibodaux, Lafayette and Lake Charles, as well as surrounding areas of Orleans Parish, Jefferson Parish, St. Tammany Parish, St. Bernard Parish, Plaquemines Parish, Lafourche Parish, St. Charles Parish, St. John the Baptist Parish, Tangipahoa Parish and Terrebonne Parish, and throughout Louisiana.